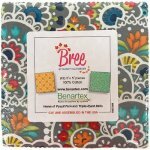 Benartex Bree Charm Pack (42) 5" x 5" pieces. 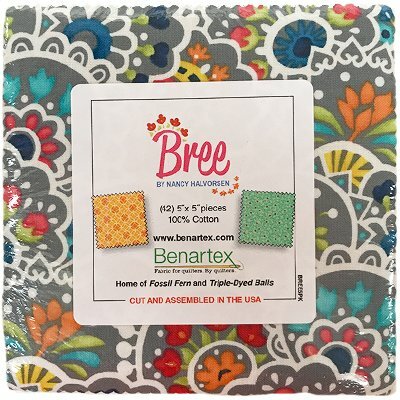 Moda Grunge Seeing Stars Charm Pack contains (42) 5" squares. Moda Mamas Cottage Charm Pack contains (42) 5" squares. Moda Serenity Charm Pack. 42-5" Squares. 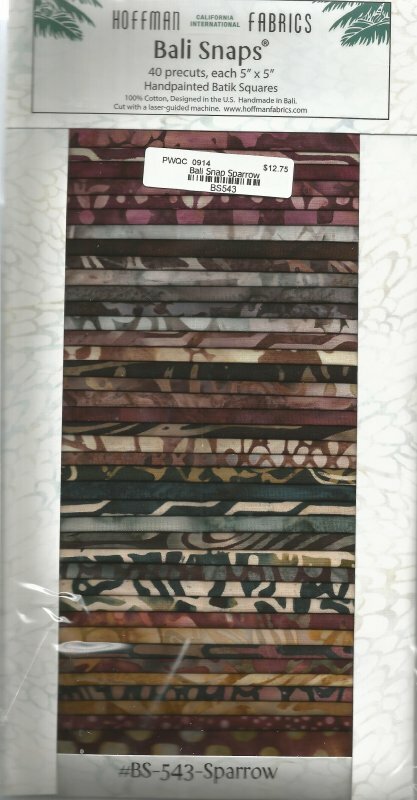 Moda Spotted Charm Pack contains (42) 5" squares. 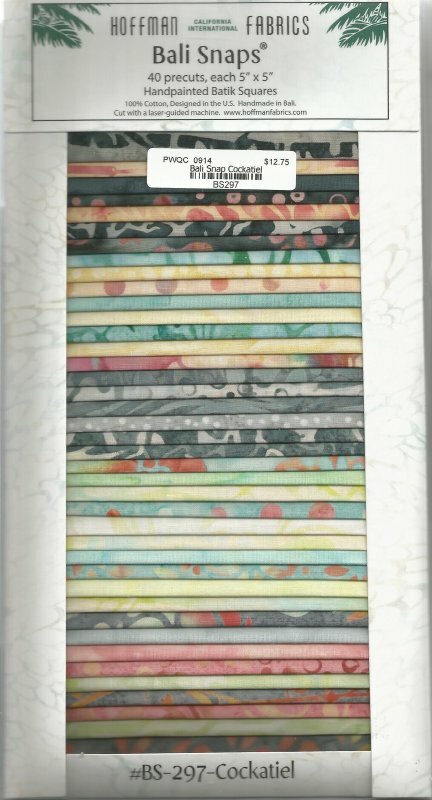 Moda Watercolor Charm Pack contains (42) 5" squares.